I love apples and I love autumn, so it follows that I love spending a day apple picking. 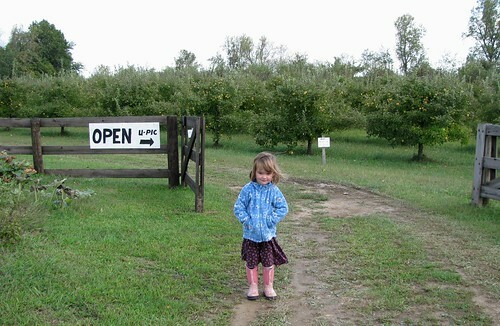 For three years now we have been loyal patrons of Windy Hill Apple Farm, home to Charlie's Apples. It is an organic farm with a selection of specially chosen disease resistant trees located north of Johnstown, Ohio. The farm name was fitting as today's weather included high wind warnings. We picked Liberty apples, some of the best apples for cooking. They were a little picked over so filling our 1/2 bushel bag took about an hour. *Charlie himself. He is an intelligent former-engineer. He is soft spoken but wise about apple growing and happy to share his knowledge. *The organic farming methods means I do not worry about pesticide/herbicide exposure when Lil bites into an apple fresh off the tree. *The lack of chemicals means the farm is teaming with wildlife. We saw three birds' nests, a wide variety of insects, and evidence of deer. 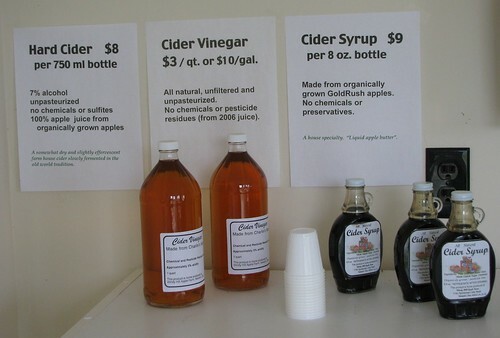 *The apple products available on farm include hard cider, cider syrup, and cider vinegar. All are hand made by Charlie and his family, delicious, and include no icky ingredients. There are no candy sticks or fall decorations to inspire the 'I wants' from my daughter, only wholesome local apple goodies. I tried some of this year's hard cider (made from last year's apples) and it is the best yet. Blended from two apple varieties, the naturally fermented hard cider is richly flavored and a true heirloom product. The Johnny Appleseed stories don't mention it often, but Johnny was really planting for hard cider, not fresh fruit. *The farm is small and off the beaten path. Today we were the only people picking. Other times there have been one or two families, but never enough to feel crowded. The bags are self serve and you pay on the honor system. *Charlie's motivations are to understand and educate others about sustainable growing and carry on the long standing traditions of apple farming. Production and profit seem to come second to these lofty goals. Pick what's in season. 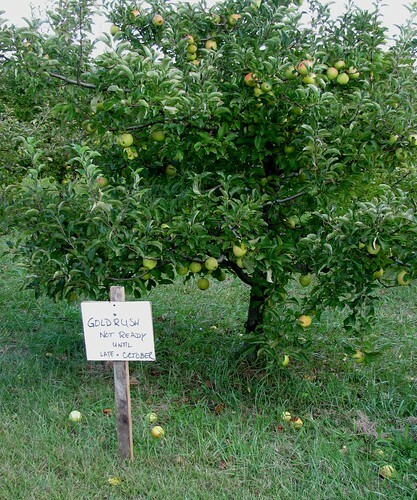 Charlie's flagship variety, Gold Rush, will not mature until late October. I plan to make a return trip then. Call ahead. Some varieties sell out and it is best to call ahead so you know what is available. Make a pit stop in Johnstown. The farm doesn't have a public restroom, although Charlie has allowed us to use the bathroom in his home on site in emergencies. 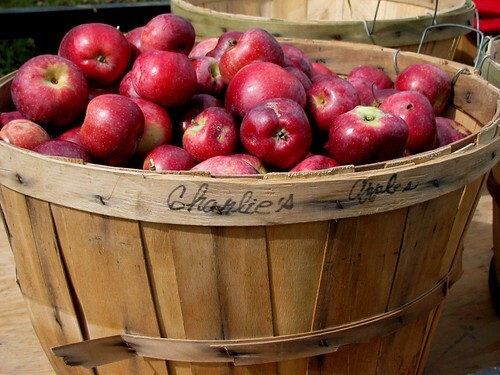 Stay tuned for some suggestions about what to make with all your apples!